Our instruments will capture your imagination with their sonority, refined touch and unique sound. SAUTER grand pianos are not just a treat for the ear—they are also a visual highlight in the concert hall, parlor or modern living space. 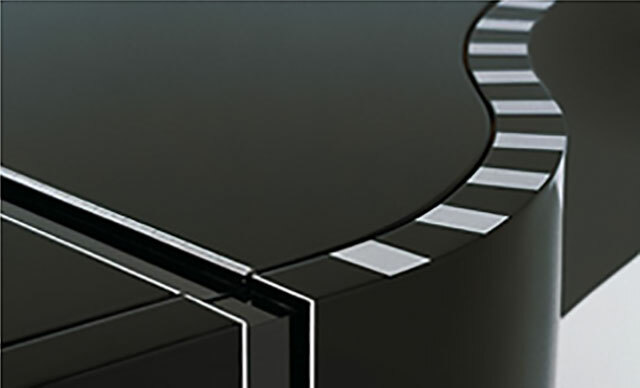 Select one of four resonating bodies and attractive finishes for your SAUTER grand piano. The SAUTER range of grand pianos includes models for every need. Whether you're a beginner or a professional, every instrument provides uncompromising musicality and a brilliant sound. The Concert 275 grand piano is our crowning jewel with which SAUTER opens new dimensions in sound. Interior designer Peter Maly has designed noteworthy grand pianos for SAUTER for several years. His designs are known for their originality in combination with the utmost in functionality and perfect craftsmanship.